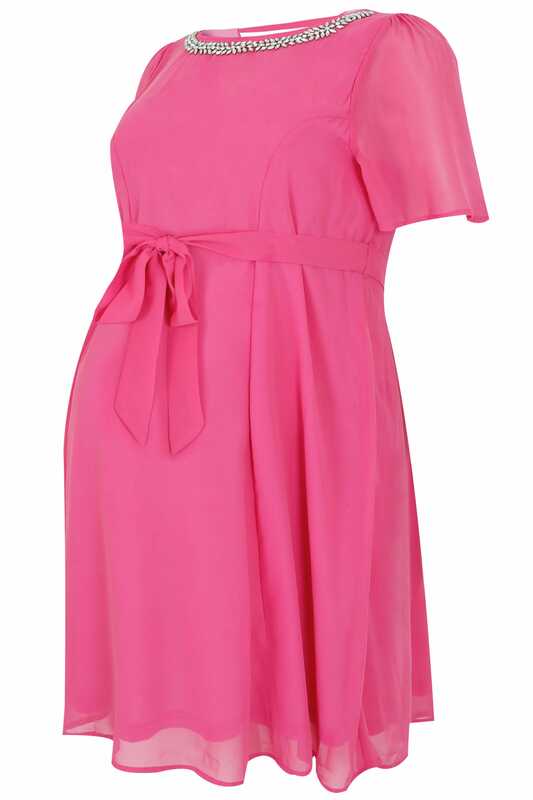 Add a pop of colour to your party wardrobe this season with this must-have maternity dress. 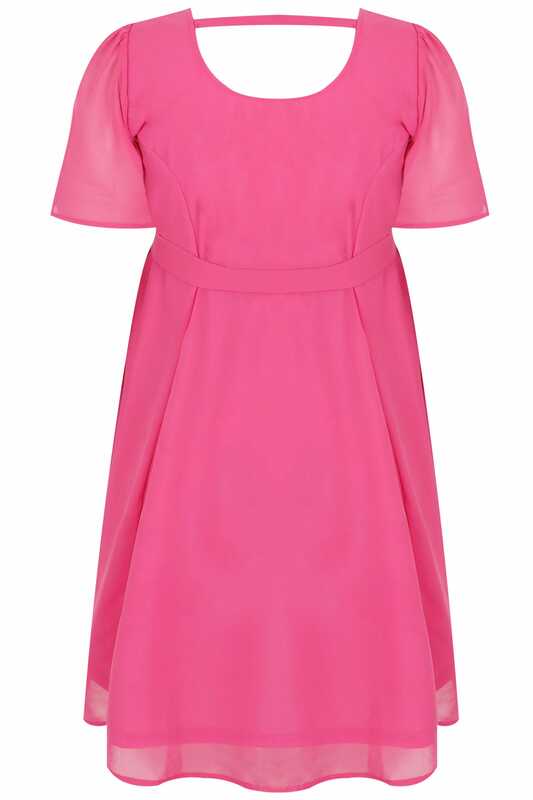 Effortlessly combining fashion and function, its lightweight chiffon fabric will keep you comfortable whilst its self-tie waist will keep you cinched in and looking fabulous. 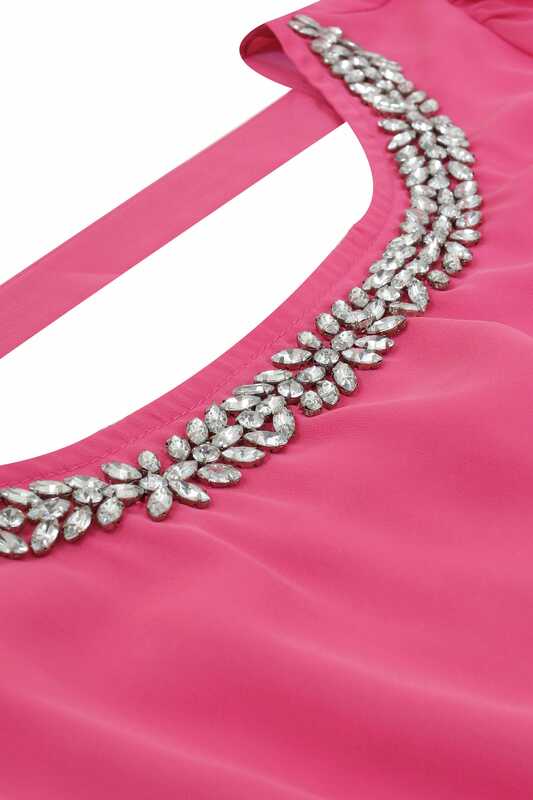 Loving its sparkling jewel embellished neckline - perfect for making a statement.